Free Downloadable Beanie Boo Coloring Pages. All pages are PDFs. 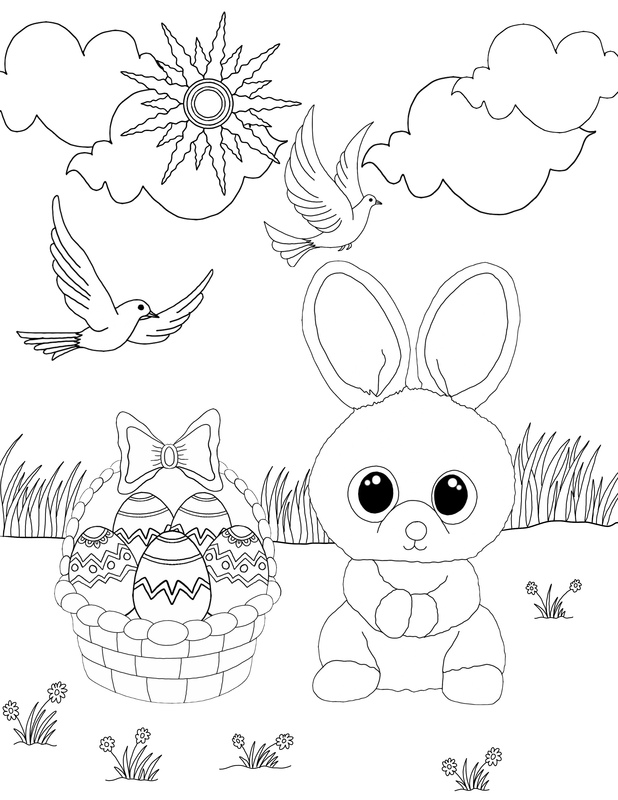 If we don’t have your favorite Beanie Boo, contact us and we’ll create a coloring page and add it here. 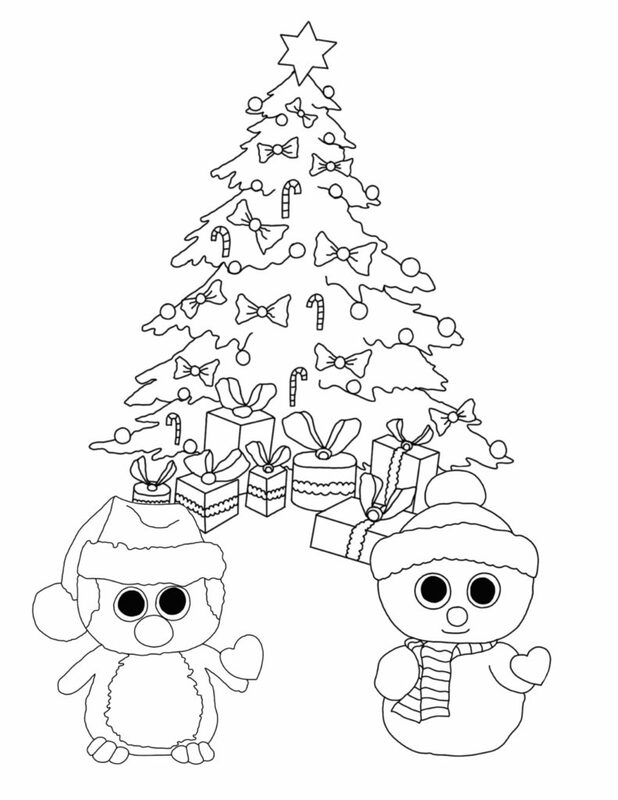 This Christmas-themed coloring page includes a holiday penguin and snowman. You can color the penguin to be any of the following Beanie Boo penguins: Fairbanks, Freeze, Glider, Ice Cube, Igloo, North, Olive, Paddles, Patty or Waddles. You can color the snowman to be any of these Beanie Boo snowmen: Scoop or Scoops. Who says Beanie Boos can’t be princesses? 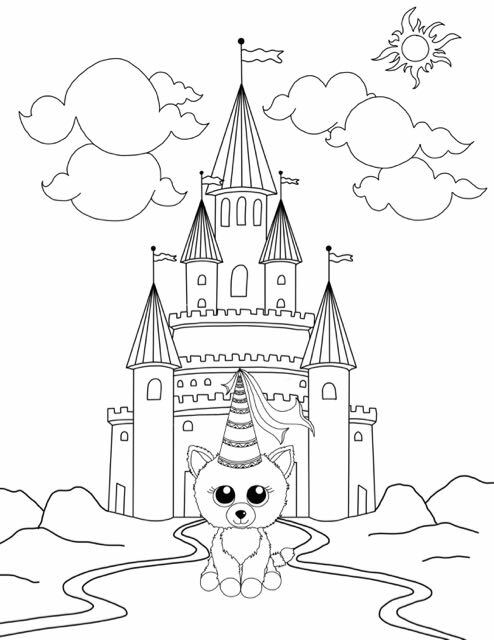 Crown yours today with our Princess Cat coloring page. This cat can be colored to look like the following Beanie Boo Cats: Muffin, Bianca, Sophie, Pearl, Spirit, Tabitha, Willow, Lindi, Tauri, Pepper, Fiona, Frights, Dazzle, Jinxy, Anabelle, Shadow, Kiki, Cashmire, Pellie, Trixie, Gypsy, and Reagan. For guidance on how to color specific cats, please review our Beanie Boo Cats Guide. Every Beanie Boo dog dreams of having his or her own dog house and being welcomed into a family like a new puppy. For guidance on how to color your dog, visit our Beanie Boo Dogs page. 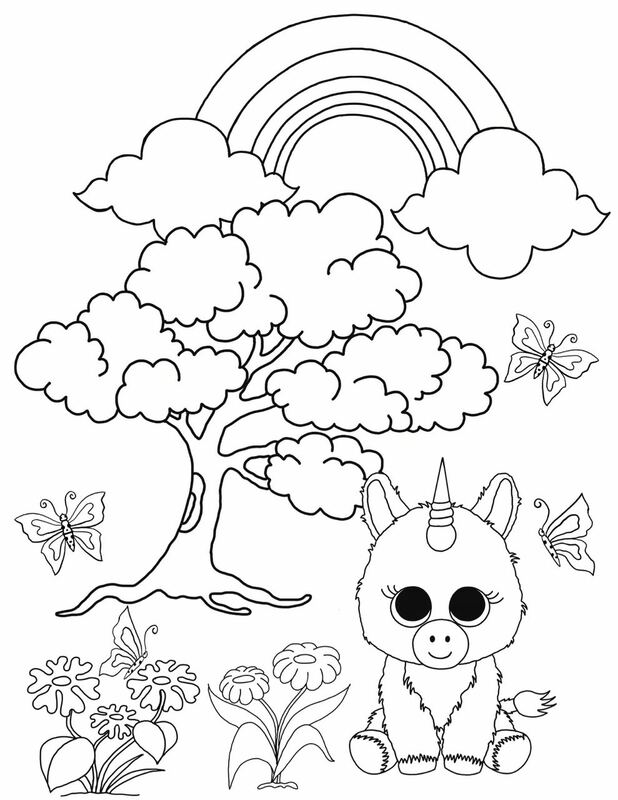 You will enjoy coloring this scene of a Beanie Boo Unicorn in an enchanted forest – which includes a rainbow, butterflies and a tree. For guidance on how to color these unicorns, check out Beanie Boo Unicorns. A great download for a Beanie Boo birthday party activity. 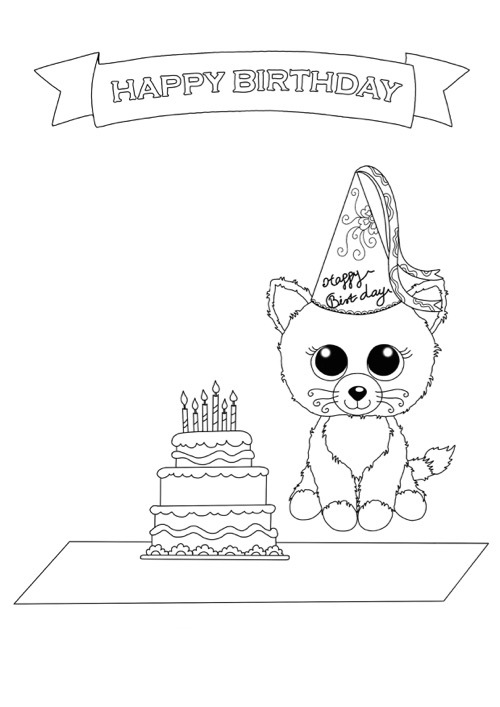 Have fun coloring this Beanie Boo Birthday cat.